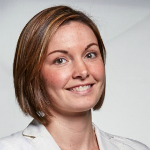 Jenn Maher is a leader and operations ninja – focused on growing her company effectively and efficiently. She uses resources in a creative way to implement processes and designs to scale the company along the Northeast Corridor, as well as to serve 1776 members more effectively. Jennifer started her professional career as an attorney with an AmLaw 100 law firm in Philadelphia. While practicing full-time, she co-founded Benjamin’s Desk in 2012, which later merged with 1776 in 2017, and she launched First Base, a commercial real estate brokerage focusing on tenant representation of growing companies. After 10 years of private practice, she left the corporate world to jump full-time into the world of being an entrepreneur.